Way back in 2013, we wrote a post called The definition of a bestseller. It's been one of our evergreen blog posts with people coming back through the years to find that information. Well, it's 2018, so we thought it was time for an update. So, what does make a book a bestseller? Does it need to hit a specific sales threshold? Let's find out. How do you measure a bestseller? First of all, there are many different ways of measuring "bestsellers" and different published lists have different criteria. Where BookNet Canada is the source for national and regional bestseller lists in Canada, those lists are based on print book sales in the English-language Canadian trade market. Other lists, like The New York Times list, for example, are put together by surveying samples of booksellers and wholesalers, but the actual methodology is a trade secret. BookNet want the lists we support to be as transparent as possible, so read on. How many books do you have to sell to be on the bestseller list? Good question. But the answer is: it's relative. The lists are a snapshot of a particular time period, usually a week. So the actual number of books sold in order to make it onto a bestseller list varies. One week there may be many books that are selling high volumes of copies, for example around Christmas, whereas in the summer, each book on the bestseller list might sell fewer copies. Really, bestseller lists are more of a ranking system, week by week. But roughly a book typically has to sell a few thousand copies in a week to be among the top-selling books in Canada, within a particular subject. The number of copies sold may be fewer for the more specific genre lists, like Romance and Cooking. What makes a bestseller? A book typically has to sell a few thousand copies in a week to be among the top-selling books in Canada. Which books appear on a bestseller list? Usually, as mentioned above, it's the top ranked books that will appear on any published list. However, it can happen that a book sells consistently well, but always just under the threshold of copies needed to make it on to a published list. Sometimes those books might make it on a year-end list, or often they will show up when we do some analysis of perennial bestsellers (these are the books that sell consistently well year over year for a specific time period, for example over Christmas). It's also important to note that some books are excluded from appearing on bestseller lists. For example, dictionaries. Even though they sell well at certain points of the year, they typically don't show up on any published lists. 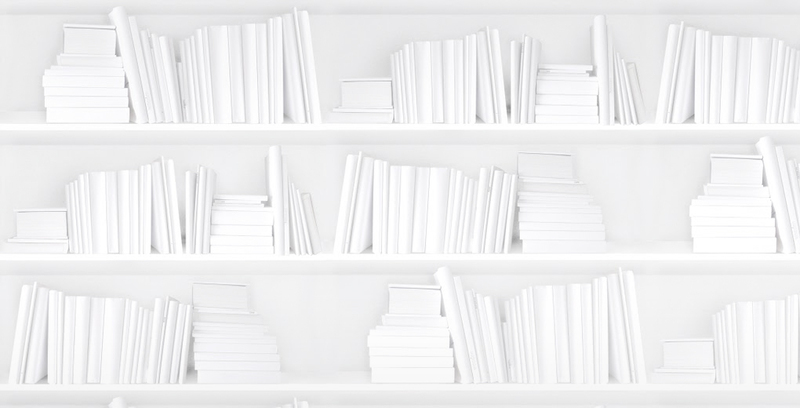 Each publication has different guidelines for how they put the lists together and ultimately it's their decision about which books are counted for their purposes. What sales count towards becoming a bestseller? For the lists that rely on data provided by BookNet Canada, the sales are tracked by BNC SalesData. SalesData collects weekly point-of-sale data from over 2,000 retail outlets across Canada, covering an estimated 85% of the Canadian, English-language trade print book market. If you’re concerned that some of your book’s sales are slipping through the cracks, have a conversation with any retailers, event staff, and publishers involved in selling your book. BookNet is happy to help bring on new retailers of any shape and size (with some stipulations) — our goal is to make sure every print book sold in Canada is counted. Sales reporting is free for all retailers and comes with a ton of benefits. Find out more here. When can a book be called a bestseller? Typically a book can only be labeled as a bestseller when it has appeared on a published bestseller list. Books can be labeled as a "National Bestseller" once they've appeared on a bestseller list published in a national publication, like The National Post. An "International Bestseller" appears on lists across at least two countries. Books can claim "#1 bestseller" status if, you guessed it, they appeared in the #1 spot. Sometimes the list is credited, for example, "A Globe & Mail bestseller." Other times a book might be credited as being written by a "Bestselling author," which means one or more of the author's previous books made its way onto a recognized bestseller list. Once a book has made it onto a published bestseller list, it's up to the publisher to decide how to communicate that information in the book's promotional materials. A good practice is to use the Promotional Headline to call out the fact that the book is a bestseller. Publishers can also use the Cited Content fields in ONIX 3.0 to record that the book was on a bestseller list, the name of the publication or list, its position on the list, among other details. Using those fields will allow for future searchability when ONIX 3.0 becomes widely adopted. We're always looking at Canadian bestselling books on our blog. We break it down by categories, sales trends, perennial bestsellers (the books that sell well year over year), and more. Come back often to see what we're writing about, or sign up for our weekly newsletter to keep up-to-date with publishing news and trends in Canada. Still have questions about bestseller lists and how books get on them? Ask them in the comments below and we'll do our best to answer them.